The use of Russia’s Bastion coastal missile systems in Syria was the first combat use of this system against ground targets. It was aimed at testing the capabilities of the system in real combat conditions, said Konstantin Sivkov, president of the Academy of Geopolitical Problems. Earlier on the day, Russian Defense Minister said Bastion systems had been deployed to Syria. The minister said they had conducted strikes on terrorist targets in Syria. "These complexes are able to destroy both sea and ground targets at a distance of 350 kilometers at sea and almost 450 kilometers over land," Shoigu said at Russian President Vladimir Putin’s meeting with representatives of the Defense Ministry. He also confirmed that the Russian naval group in Syria is defended by the Bastion, moreover, Russian bases in Syria are now secure from low-flying targets. "Indeed, this was the first time a Bastion system armed with Oniks missiles has been used against ground targets. 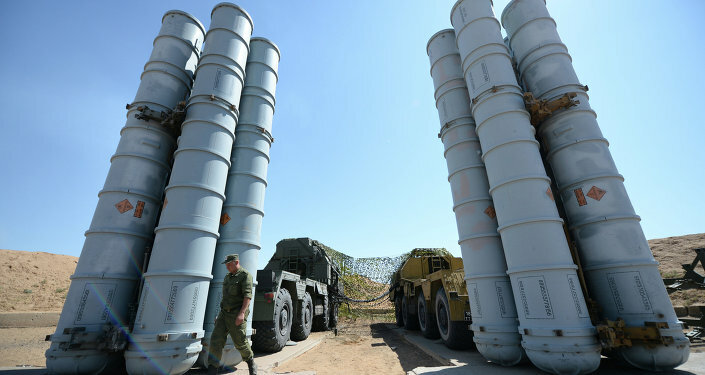 I think this combat use was aimed at testing the system’s combat capabilities against ground targets, rather at destroying an important enemy target," Sivkov told RIA Novosti. The expert suggested that the target-seeker of the Oniks missile has been upgraded especially for being used on ground targets, because the target-acquiring mechanisms for ground and seaborne targets are different. "The point is that these missiles are equipped with a target-seeker for seaborne targets. This system is not designed for being used against seaborne targets," he said. However, the expert suggested that in Syria, the Russian military may have used the regular sea version of the missile, but against ground radiocontrast targets. "Maybe, the missiles were fired to destroy a group of armored vehicles or a radio-radar station. They could have acquired the target by the radiation produced by such targets in the desert," he explained. Earlier this day, the Russia Defense Ministry also reported that the Admiral Kuznetsov aircraft-carrying cruiser had begun combat operations in Syria. Moreover, Russian frigate Admiral Grigorovich targeted terrorists in Syria with Kalibr cruise missile strikes. "Today, we started a large-scale operation on launching massive strikes on Daesh and al-Nusra Front targets in the Idlib and Homs provinces [in Syria]," Shoigu said on Tuesday. Shoigu also said that Russian naval task force in Syria is reliably protected by Bastion Coastal Defense Missile systems and Pantsir systems.